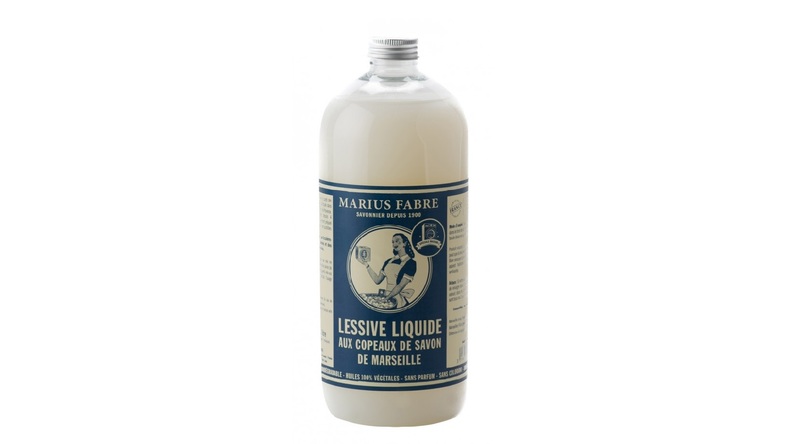 Our ready for use liquid washing is elaborated from Marseille soap flakes made in our family soap factory of Salon-de-Provence, according to an unchanged recipe since 4 generations. 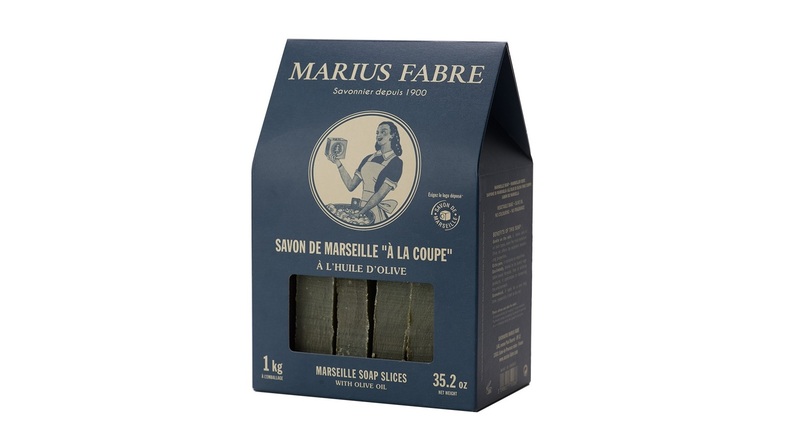 Marius Fabre Marseille soap flakes are made from 100% vegetable oils and cooked in a cauldron to traditional Marseille soap-making practices. 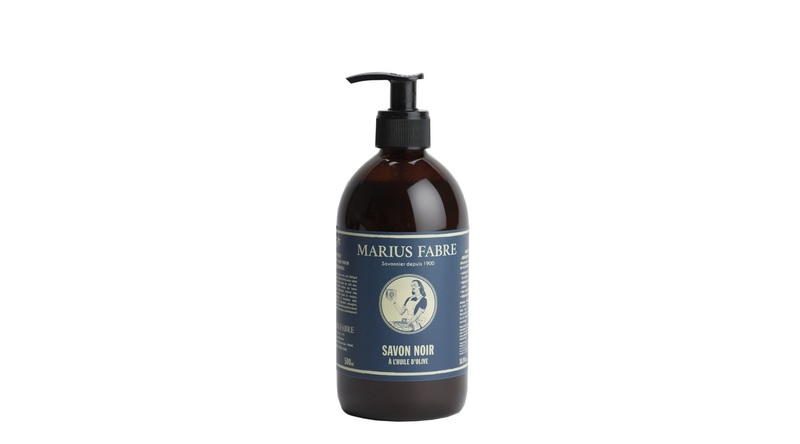 Since 1900 and for four generations here in Salon-de-Provence, The Marius Fabre family has been making soap that is cooked in a cauldron to traditional Marseille soap-making methods. 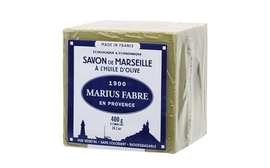 Made from vegetable oils –no colouring, no added fragrances≤ and no synthetic products– their white Marseille soap cubes are recommended for a gentle wash on all fabrics, especially delicate ones (baby clothes, fragile fabrics…). 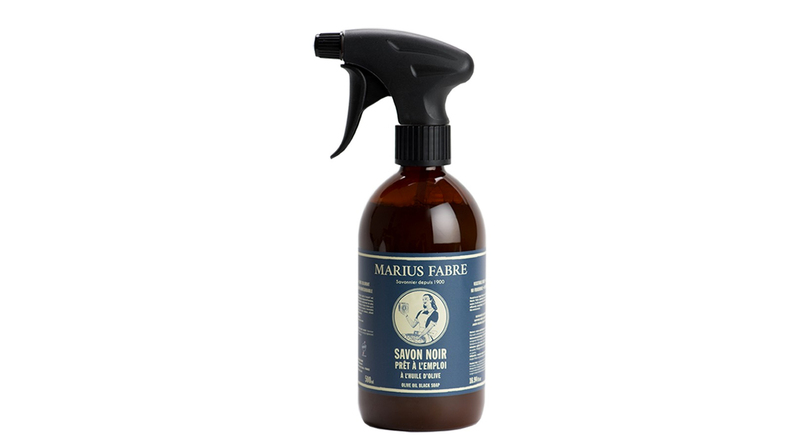 They are also very effective on stubborn stains. 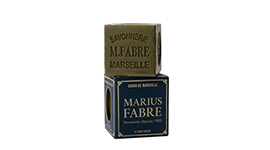 Made from vegetable oils –no colouring, no added fragrances and no synthetic products– their Marseille olive oil soap cubes are particularly gentle on the skin and on the environment. 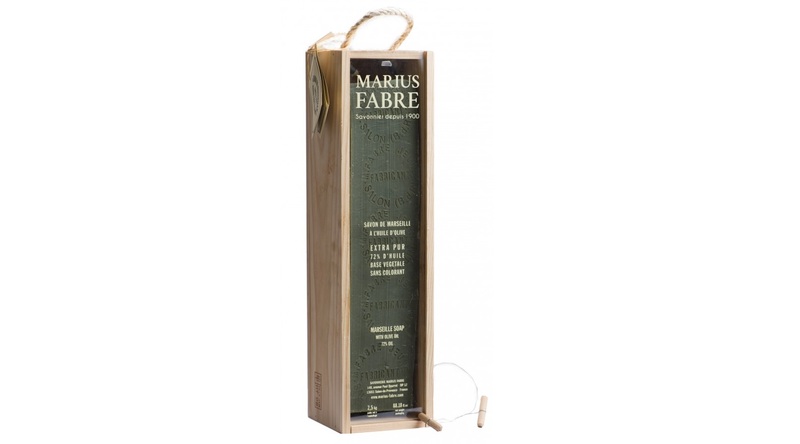 Economical and eco-friendly, Marius Fabre’s rotating soap is pure Marseille olive oil soap that contains no colouring, no added fragrance and no preservatives. 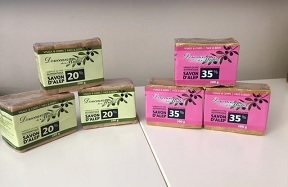 Genuine Marseille soap is 100% natural, made only from olive, copra and palm oil, with neither colouring nor synthetic additives. It must obligatorily contain 72% of oil, which is stamped on each cube of Marius Fabre soap. 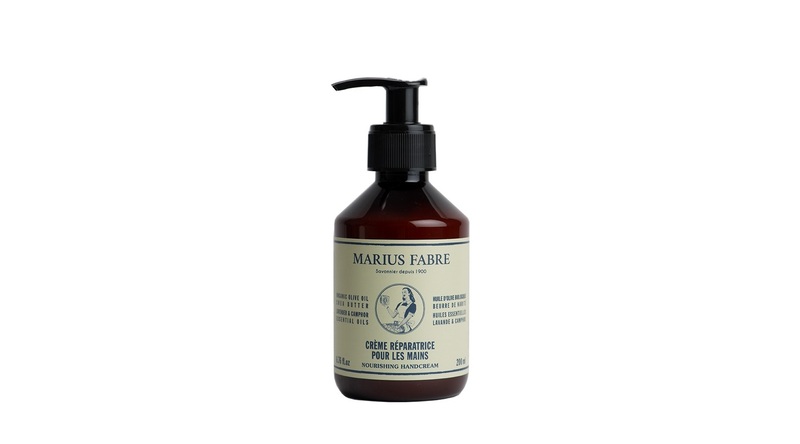 Its properties come from this exceptional purity : gentle, natural but still effective. 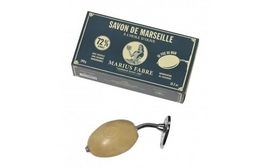 Marius Fabre soap is not harsh for the skin. 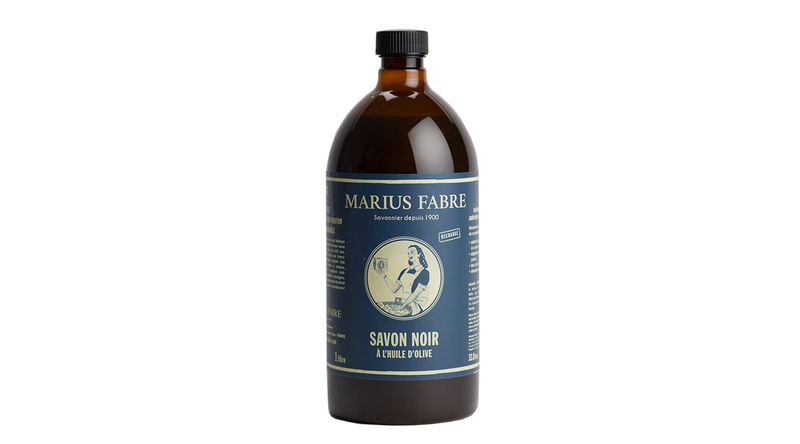 It is often recommended by the medical profession as an alternative to other modern products which can cause skin problems.